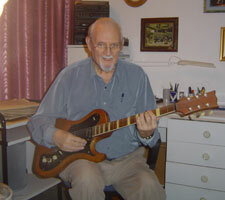 Jim Burns had built a very basic solidbody guitar in 1952, but six years later his improved efforts attracted the attention of British amplifier company Supersound, who employed him to help design and construct the UK’s first commercially made solid electrics. 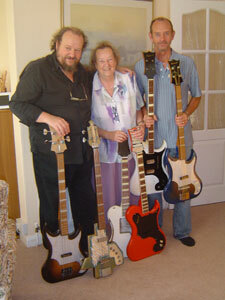 Early photo of this guitar, before acquisition by Guy M: from Trevor Midgley's site. Later PD notes indicate this guitar was originally finished in White, and that a headstock veneer has been removed. 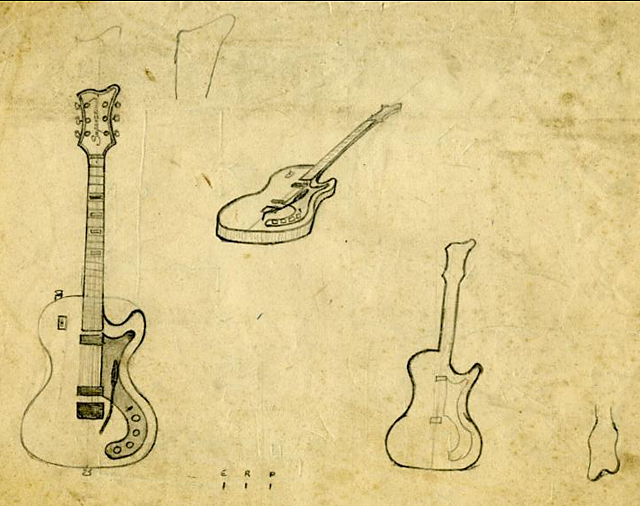 By 1958, the Supersound company was already established as a maker of instrument amplification and decided to explore the production of solidbody electric guitars. At that time, the latter were still quite a rare commodity in this country and the market was accordingly equally minimal. But this obviously didn't deter Supersound boss Alan Wootton, who enlisted the services of Jim Burns to help with design and manufacture, as he had already built some six-strings of this type. One of Jim's earlier instruments formed the basis of the shortlived Supersound 'Ike Isaacs Short-Scale' model, introduced late in 1958, but it was preceded by a plainer alternative that could best be described as the 'Short-Scale Standard'. 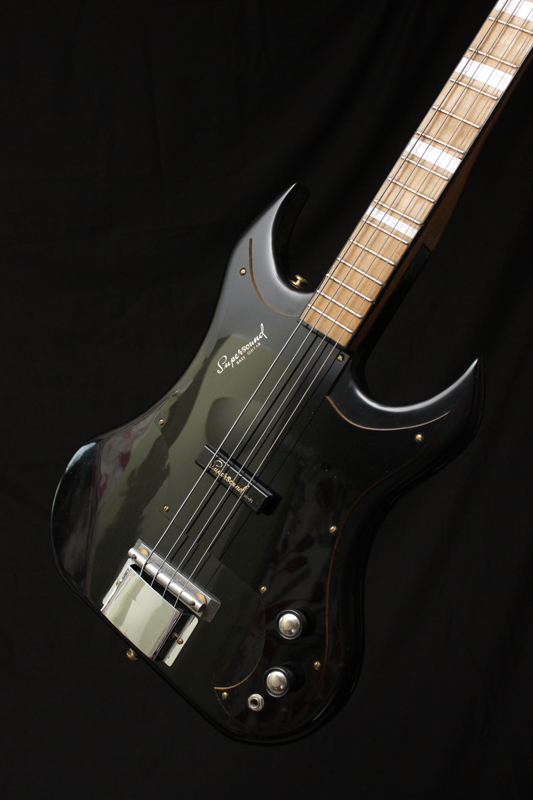 For this, Supersound supplied Jim Burns with the materials required to fulfil his part of the production process, which involved building the body/neck chassis. 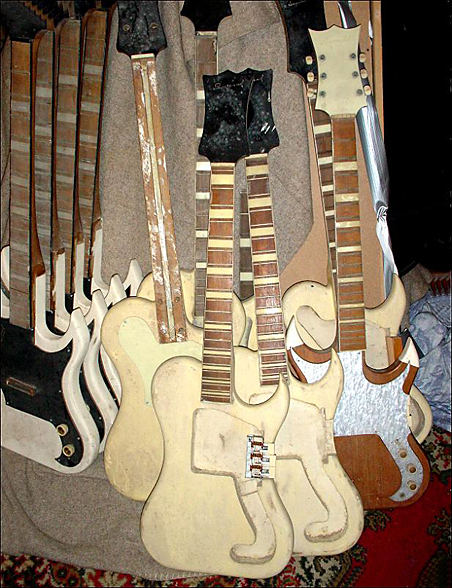 The company then completed each guitar, carrying out the necessary paint and finish work, plus the installation of pickups, circuitry and hardware. 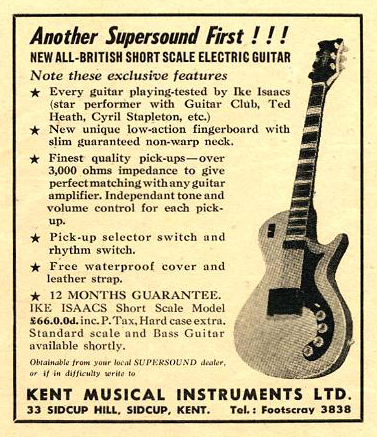 The Supersound 'Short-Scale Standard' is certainly the first solid electric to be produced in Britain and this example is currently the only known, fully-functioning survivor from those trail-blazing times of well over five decades ago. 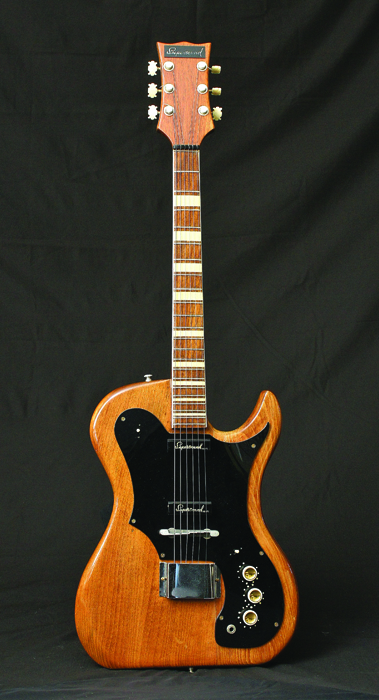 Built before Jim Burns' departure from Supersound in late 1958, its vintage is confirmed by the use of pine for the body, which was Supersound's choice of timber back then. The single-cutaway styling is along the lines of the Ike Isaacs model, although the body is significantly more sizeable all round. The outline is also less curvy, with unusual flat-bottomed lower bouts that would become a distinctive feature of various later Burns instruments. The end result is quite chunky in looks and feel, but player comfort is enhanced by some contouring on front and back, the shaping again being similar to that seen on certain subsequent Burns models. The simple, single-saddle bridge is aluminium and strings anchor in a somewhat crude tailpiece block hidden beneath a chromed metal cover. The tuners are an acoustic guitar type, equipped with bone posts that sit very low through the overly thick headstock. In fact, the latter's black plastic facing was subsequently removed to allow enough usable height for stringing purposes. Another cosmetic change concerns the body, as the original white finish has been stripped at some time and instead a clear lacquer coat reveals the two-piece pine construction. Despite any such subsequent alterations, the guitar is essentially the same as when built almost 55 years ago. Such a lengthy time-span means this particular oldie is the earliest known, UK-made, solid electric, which adds appropriate historical importance to its already undoubted rarity and acknowledged innovative status. A thorough but sympathetic renovation has restored the instrument's original playability and performance, ensuring that this Supersound 'Short-Scale Standard' is a credit to its pioneering creators. Bob played on "hundreds of BBC broadcasts, films, shows and recordings” from 1942 onwards as a member of the John Barry 7, Don Lang’s Frantic Five and others, including a session with Jimmy Page! Film credits include 6.5 Special and Beat Girl and, most recently Bob worked as a Skinnerette on the Frank Skinner show in 2001! "This is undoubtedly currently the earliest known solid electric six-string built in Britain, but it certainly isn’t the actual guitar employed by Bob Rogers on TV back then. While Bob was playing that instrument, the neck began to part company with the body and after this obviously very disconcerting experience he rapidly returned it to Supersound. Jim Burns in turn learnt a salutary lesson and ensured that his future efforts featured much firmer anchorage between both components. 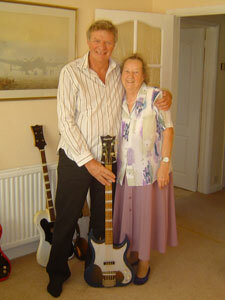 I carried out the comprehensive restoration of Guy’s guitar and I estimate it’s slightly later. The neck/body join is totally original and employs Jim’s improved woodworking, with absolutely no evidence of movement or any prior repair work, which would be apparent if this was the re-assembled Bob Rogers’ instrument. I can understand Guy wanting to believe he has number one, but I’ve never suggested it and I consider the expectation to be unrealistic. Isn’t it enough for him to know that he owns what is as yet the oldest survivor from that pioneering period? 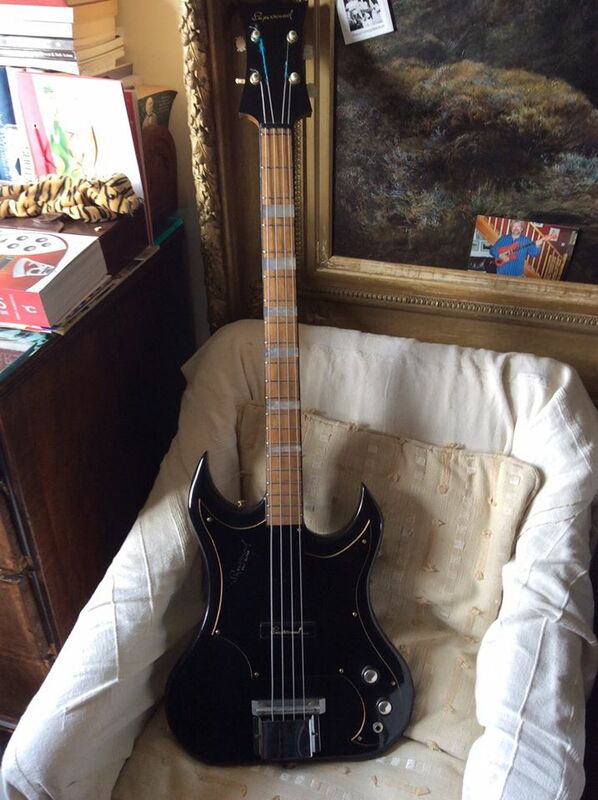 The falling-apart fate also befell the Supersound bass being played by Teddy Wadmore during the same TV show, but unlike Bob Rogers, he was very keen on the concept of a solid body electric and subsequently put his suitably repaired four-string to good use on many recording sessions. He was the first to play such a bass in Britain and at this time his Supersound was available ahead of any similar home-grown or imported competition." Teddy Wadmore with the very first Supersound Bass, built Summer 1958, used by Bob Rodgers on the Jack Jackson TV show that year. The neck joint glue allegedly 'failed' after (or during?) the show causing mayhem! 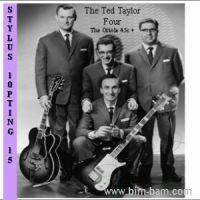 When Supersound designed the first British-made solidbody four-string, it was at the request of Teddy Wadmore, bass player with The Ted Taylor Four. In 1958 he managed to borrow a Fender Precision from a US serviceman and rushed it round to Alan Wootton and Jim Burns at Supersound. However, rather than a slavish copy, Wadmore wanted a shorter scale, plus a more traditional look, i.e. single-cutaway, two-a-side headstock and sunburst finish, as this would fit in better with the band's image. It should be remembered that at this time the solid bass guitar was still very much an alien instrument in the UK, a fact ably illustrated by the story concerning The Treniers, a US group who apparently inspired The Shadows' stage footwork. After their 1958 British tour finished, The Treniers decided that, rather than take their instruments back to America, they would sell them here and raise some extra money. At this time the import embargo on US products was still in force, so the plan proved very successful, except for their Fender bass, which failed to attract any interest or offers, simply because nobody here knew what it was! Bass version of guitar detailed above... Originally white, refinished in black. I see terrible pickguard wobble on treble side, and inaccurate fret-placings? In 1958 the Supersound company decided to partner their amplifiers with solidbody electric guitars, which was a brave move back then, as this type of six-string was still very scarce, with a correspondingly small market to match. 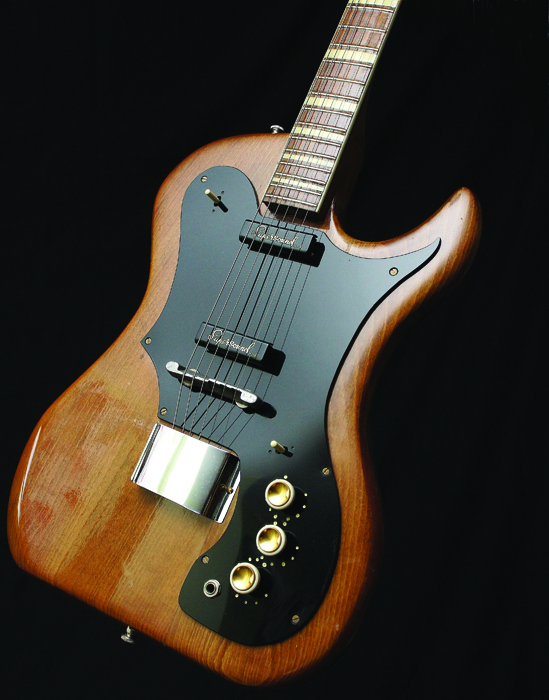 Knowledge was equally limited, so guitar builder Jim Burns was employed to help with design and manufacture, as he had already dabbled in this field. Although the equivalent bass was virtually unheard of in Britain, that year Supersound built just such an instrument for The Ted Taylor Four's bassist, Teddy Wadmore. He had seen a Fender Precision owned by a US serviceman, but the post-war import embargo on American-made products was still in force and this innovative Fender four-string wasn't available in the UK. 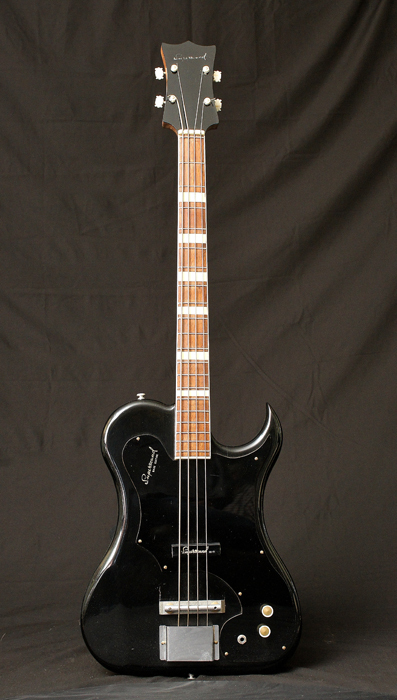 Immediately aware of its potential, Wadmore borrowed the bass and showed it to Alan Wootton and Jim Burns at Supersound. They came up with a design that didn't copy the Precision, but instead combined elements from the Fender with features better suited to Teddy Wadmore's requirements. 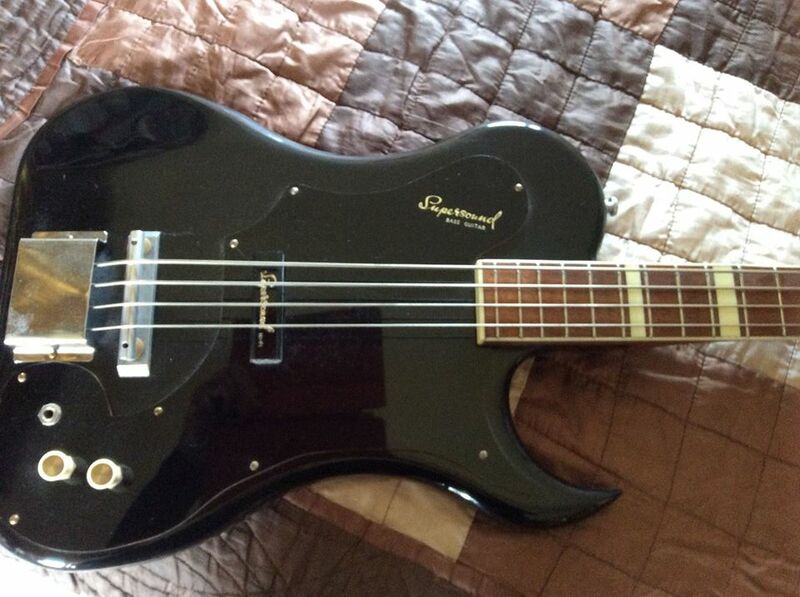 It became the very first British-built solidbody bass guitar and Supersound soon made other four-string electrics along similar lines, this example being one of them. As with Supersound guitars of that time, Jim Burns built the body/neck chassis and the company completed each instrument. 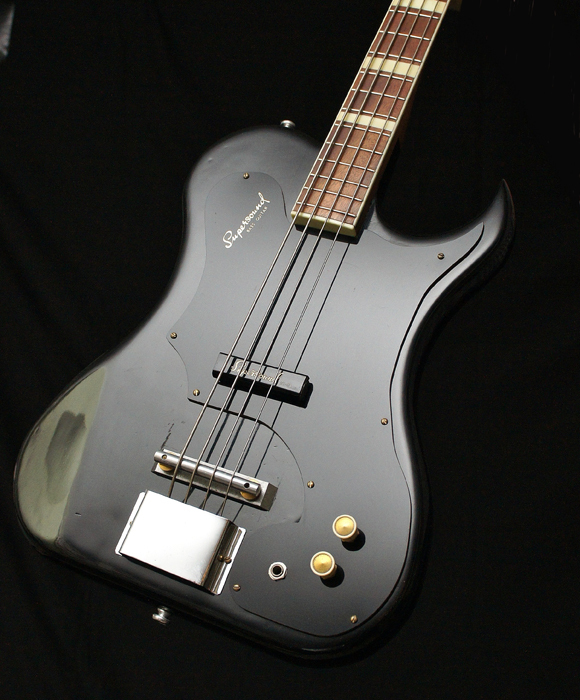 Differing from the radical Fender Precision, Wadmore's bass employed a quite conventional, single-cutaway outline, presumably in accordance with his wishes, but styling then changed to a more curvy and sharp pointed body horn, much like the shaping seen three years later on the Burns Bison. Like its stablemates, this early Supersound's body features flattened lower bouts, plus front and rear contouring, and these distinctive design aspects also appeared on some subsequent Burns models. Departing from Fender's format, the Supersound spreads 20 frets over a shorter, 30.5-inch scale length, while the glued-in, chunky neck has a pronounced V-profile. It shares the six-string's bound rosewood fingerboard and full-width, cream plastic position markers, but the heel join is long, smooth and chamfered. 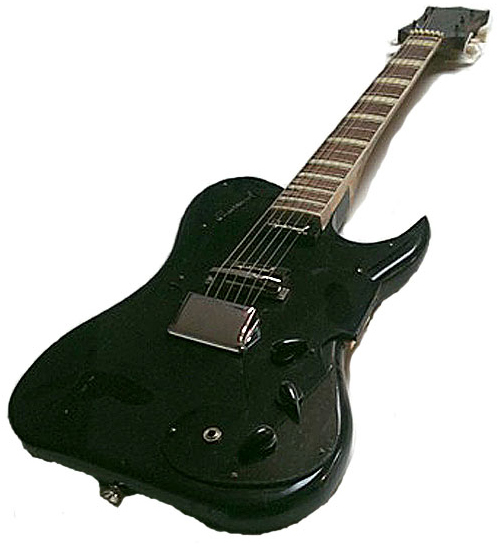 As on the Teddy Wadmore original, a traditional-type headstock carries Framus guitar tuners with fancy buttons and bone posts, while the black faceplate bears a gold Supersound logo. Interestingly, to provide sufficient front height, the machine heads have been neatly recessed into the rear of the very thick headstock. 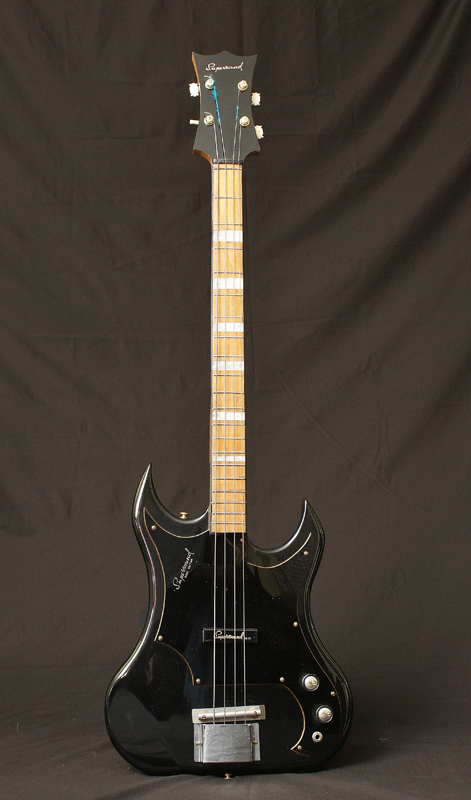 The re-styled scratchplate is black with gold edges and boasts another Supersound emblem, this time accompanied by a confirmatory 'Bass Guitar' title. Electrics comprise volume and tone controls plus a Supersound Hi-Fi single-coil. Equipped with a bar-magnet and suitably branded black plastic cover, this is mounted in the same position as the Fender Precision's pickup, and the Supersound was arguably the only other four-string in the world to follow Fender's lead at that time. The same doesn't apply to partner hardware, as a simple, single-bar saddle bridge is accompanied by an equally basic, block-type tailpiece that's topped by a chromed metal cover. 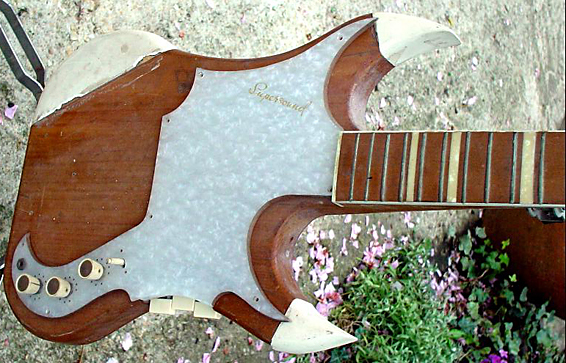 This Supersound started life with a white painted body, but it was later re-finished black, while the neck is natural wood. Virtually all else remains as it was when the bass was made nearly 55 years ago, and, apart from the obvious age and extreme rarity factors, it's currently the only known example in near-original, fully playable condition. Such a combination makes this Supersound Single Cutaway Bass four-string a very important instrument from the formative era of the modern UK music industry. Guy notes: This photograph clearly shows the 'glued and screwed' neck joint which was a feature in Burns guitars including the Bison. Guy notes: Probably built by Jim Burns prior to his departure from Supersound in December 1958. However the '50s radio push buttons' were almost certainly added later by electrics expert Alan Wootton who was not a guitar player! 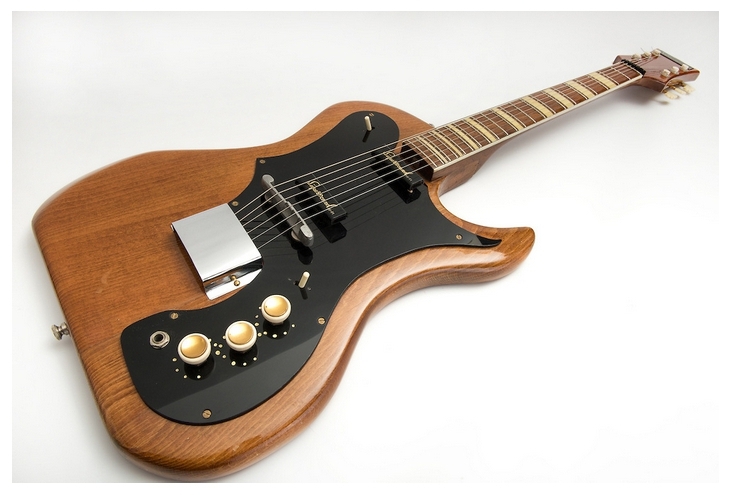 This Guitar would appear to be a completed version of the above 'prototypes', and features a pickguard extension covering the pushbutton pickup selectors? With electrics by Alan Wootton and body by a carpenters shop in Hastings (NOTE: Mary Wooton's memoirs indicate that Alan initially did the Woodworking himself post JB), this bass dates from between 1959-1963 and is one of possibly around 20-30 instruments built after Jim Burns left Supersound (but originally designed with his assistance in late 1958). 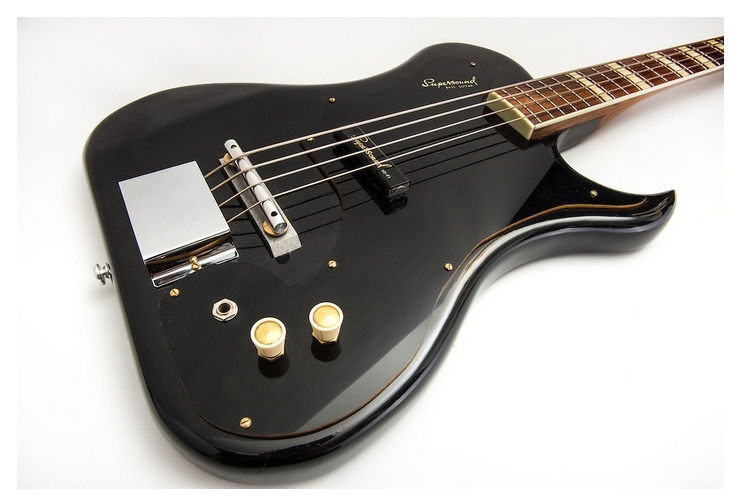 Brian Davis of Dave Edmunds' band, the Raiders, used one of these in 1963.